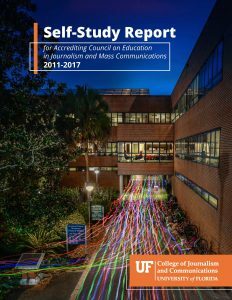 Every six years, our College undergoes a re-accreditation process administered by the Accrediting Council on Education in Journalism and Mass Communications (ACEJMC). As part of that process, the College creates an extensive self-report about its capabilities and achievements. Below you can access the full self-report or individual sections of the report.